Tenrai Raiden, Captain of the 8th Division, known as the Tempest of the Soul Society walked to the 1st Division Barracks. He was summoned by the Captain Commander for some sort of meeting. In the recent weeks Tenrai has spent much time between his barracks as well as the world of the living. He did much work killing Hollows and purifying souls in the world of the living and in his barracks he spent much time in the library reading about loads of information he truely didnt need to know. He also read battle reports especially from the fight with Aizen 5 years ago. Tenrai reached the Sotaichos office. "How may I assist you today, Sotaicho-sama? ", he asked. Kenji stood in his all-so glorified office, waiting for his call to be answered. He just recently called one of his captains, Tenrai, to have a meeting with him. The Gotei 13 was in temporary peace right now, as with the whole Soul Society. Sereitei's landmarks filled with people going back and forth through their barracks, and most of them were actually very busy with work. 5 years after the Aizen incident, Soul Society's power has begun dropping as Captains suddenly disappeared. They need new power if they're going to protect what they say they are going to protect. The weather was amusing, it didn't have the gloomy feel it had during the past few weeks. Sereitei had been working hard for the Restoration of Power, and Kenji, well the new Captain-Commander, made it a point that the Espada cannot gather information about them for the last 3 years, since he became Capn' Commander. Yamamoto Genryuusai decided that his time has come, and that he needs to retire. His failure to actually defeat Aizen in battle had made him realize that its the youngins turn to lead. Strangely enough, the new Captain-Commander was young and vibrant, yet calm and cool-headed. Back then, he didn't seem like the type who'd want to lead, but now people hold him in high regards to his battle proficiency and his leadership. The Gotei 13 quickly came to accept their Captain-Commander, well it was ironic. Kenji was known for his no-mercy and people knew that he didn't trust anyone, but they couldn't say no to such a power like him. Now, its time for Kenji to make his move, it seems that the Espada has also been trying to recover, and has been gathering new Espada. Tenrai finally arrived, as Kenji turned to him, his haori going along, his eyes as fierce as ever. "Tenrai Raiden. I hope you've had enough research on the incident 5 years ago." The situation has become tougher, and they needed to act before the Espada could accomplish any goal. "Unfortunately, us restoring our power has been taking too long. We need new captains to act, and new people to gather information, we are losing grip." Kenji then took a slight sit on his table. "You've been the most active of our recent Captains. You should know, they will act sooner or later. I'm here to discuss with you, our plans." He was the only one Kenji could talk about these plans right now, since, most others were not showing themselves anyway. Next to Tenrai a beautiful young lookign girl materialized, however Tenrai would be the only person capable of seeing her. "A meeting with the Captain Commander...wow that seems cool. You have been working hard lately Tenrai...perhaps he's taken notice of of it. But I've also noticed all this work has placed a lot of stress on you. You've been sleeping less lately and I'm worried about you", said his zanpakuto, Enrai Arashi. Tenrai turned to her momenetarily. *Sleep isnt needed...I work because I want to, not only because I have to. The Soul Societies captains need to work hard and if I have to work harder because we do the record keeping then I will*, he thought for her to hear. She then disappeared as the captain commander began to talk. After the commander finished speaking Tenrai bowed his head showing his respect before speaking. "Yes Sotaicho-sama I have reviewed the records as much as I could. I've researched much in my barracks as well as tried to reduce the amount of Hollows in the world of the living. 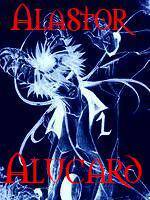 I am also aware of the Soul Societies current condition and the posing Arrancar, Espada threat. So what are your plans..I will carry them out to the best of my abilities", he said with some pride in his voice. Kenji could only smirk as the Captain accepted the unknown task with so much pride. It seems Kenji called for the best one of them, he had no questions raised. Kenji would only say a word, and this man would comply, he was the best kind of soldier anyone would want to have. "It is simple. We annihilate every last one of them. That will be the basic outcome of the battle." Kenji stood up, and then the table suddenly crashed down. It was Kenji's display of power, that Soul Society had once, he only needed to sit in it lightly, and it would all be broken. Kenji then looked at the table, and pointed Tenrai's attention at it. "Back then, we had that kind of power. Now, we couldn't even weaken a table. That is how weak we are now. We need more powerful Captains that we ever had, and this time, its us who go to Las Noches." That wasn't even most of the plan. He just liked playing with his words, see what his men would think of it. His plans had never failed yet, and he didn't plan on failing anytime soon. "Why do you think its a lot better for us to attack directly, Tenrai?" Even though Tenrai had much trust in Kenji's words, the Captain-Commander needed to know if Tenrai will actually be able to get the job done. The job wasn't easy, and it needs a lot of effort. Kenji will not let anyone who didn't understand anything about the incoming battle be a part of it, he will not let Soul Society on another demise like that. It disgusted him back then. Now, its all up to him, and he has more confidence, even though it seems like Soul Society could easily be beaten in a pulp. Tenrai watched as the Sotaicho crushed the table with his power itself. As he listened to the mans plans he believed they sounded a bit too broad..even a bit vulgar. He figured there was much be more to the Captain Commander's plans, so he didnt question anything about them yet. "Well...although we are lacking in power so are they..however the espada was only out of 10 while we have divisions filled with situable shinigami. Perhaps we can attack them now and end it now. I believe it could be best for us to attack Hueco Mundo because it would be a surprise attack possibily. It isnt in the Soul Society's nature to attack Hueco Mundo so we can use that as our advantage. 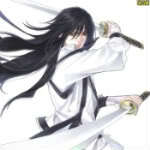 However the Espada are strong indivisually and so is Aizen..so Im sure you have something else up your sleeve", he said. Kenji smiled. This man was getting more interesting by the minute. "You say suitable shinigami. Yes they are suitable, but if they ever step into Espada Territory, they would be good as dust. You are correct, we do have the number advantage, but sheer power alone is what makes the difference." Kenji then pointed at the broken table once again, then slowly drew his sword. "Notice, the table is now broken into large pieces. Suppose they were the suitable shinigami you were to use." Kenji then slashed a few inches away from the table, with just the light force of the slash, his reiatsu that he released actually forced the air to move at a rapid speed, damaging the wall. The table then suddenly became all dust, not leaving a hint that there was once a table there, and the dust themselves clearly not telling. As the dust flew away, Kenji looked at Tenrai. "Have you forgotten, Tenrai? The Espada back then were less of Vasto Lordes." Kenji smirked for a little bit, his conversation with this captain, might get more interesting as the minute goes by. Tenrai watched as the Sotaicho reduced the table to dust. He narrowed his eyes and fanned his face blowing away any dust coming towards him. He then shook his head slightly in slight disagreement. "I mean no disrespect to you Captain Commander but your analogy is a little off. While it's true that in our position we are a little weak...but we arent helpless. I've read in the world of the living that there was a story of how a boy was able to beat a mighty warrior with just a slingshot. True we might be defeated..but that doesnt mean we wouldnt put up a fight. Perhaps we should recruit as well as focus on training those we have now", he said. It seems that for the first time in this topic, he did not get what Kenji is talking about. "Maybe, you are true. But things are not that simple. As people evolve, they grow stronger. It might be a shock to you, but 10 Vasto Lorde are already enough to kill of the Gotei 13, much more if they became Espada." Kenji then slowly sheathed his sword, making a clanging sound when it was finally on its end. Well, it was Kenji's fault it may seem for not elaborating upon his said analogy. "Even if the we had these suitable shinigami as you say they are, their league is way out of a giant and a boy. It's all about power now. Also, no.. Even if we fill up the Captain Spots, they won't be the main advantage that we would be having. We have connections, Tenrai. They also have theirs. If by anyway they notice any Captain movement, in the slightest bit, they will suspect us and go on high guard. I am telling you this, every thing I will tell you will only be known to you and people I will state along the passing of the days. If ever, anyone I do not suspect to know finds out, you shall find yourself in a pool of blood." Kenji then went on explained a little bit. "Just as we could fill our captain spots, they can also regenerate the Espada as long as Aizen is with them. That is the part that you do not understand. Creating an Espada artificially only takes a matter of seconds to Aizen, but us, just a Bankai is rare, and it takes a lot longer to master. It means that, this won't go on forever, one day we will actually lose if we rely on the Captains. So, we won't. The Captains as they fill up, will do their duties as expected. But, if you do not know, there are some other powerful beings out there not directly aligned to anyone, including the Quincy. In other words, Tenrai, we will use external force. Vizard, Shinigami, Quincy... They all have their goals, but when it comes to things like this, a threat should never be ignored." Kenji has his own way of collecting information. He had been finding out about the increasing number of Quincy that has been existing on the human world, and an increasing number of Vizards as their so-called Council was established. "We have our own powerful people here, so we will use them in the battle. But, it's better if the Captains, kept quiet and did their normal jobs, not granting the enemy any suspicion. We are not aligned to the Vizards, so if ever any movement will be noticed, they won't be on higher guard, them arrancar. Also, the Quincy's small number is barely noticeable, yet their power may actually be on par with us. You must be glad to have such a powerful Commander." Kenji smiled. Tenrai waited until the Captain Commander was finished speaking, showing his utmost respect. "Understood, Sotaicho-sama. We also have the substitute Soul Reaper, Ichigo Kurisake..however they already know of him and his abilities, so he wouldnt be much of a surprise. ", Tenrai started off. He then pondered about what was said and thought about it. "So you are picking a special task force...or so it sounds. What exactly will be the purpose of such a group..", he said. [color=blue]"Even if the Substitute Shinigami is very well known throughout the Arrancar, we still need his power." Kenji was taking into account all things that they may use and the arrancar may use, so that even if all the most powerful of hollows, well the Vasto Lorde, became the Espada, the shinigami would stand much more of a chance. "The purpose is simple, Tenrai. Get them to invade Las Noches, a Task Force with an equivalent of up to 10 people from different races, whilst the Espada or the Arrancar themselves are busy, we know full well that they might do something tricky, thus our Captains are here in Soul Society, ready for any attack. All those from within the task force, especially the shinigami, will be those who has no direct ties with Soul Society, and will act as if they were going on their own accord." Kenji wanted to distract the Arrancar, and if they were lucky enough, those 10 people might actually destroy everyone of those Espada. "The plan is simple really, if you think about it. Also, if there would be some sort of surprise, we can always alter how we would go about with the plan, as it is made to be as flexible as possible."